Mix-engineer Ben Lindell shows you how to take a plain sounding drum loop and give it some life and excitement. Using just a combination of compression and EQ, Ben enhances not just the overall tone of the drums but also brings out more of the groove as well. 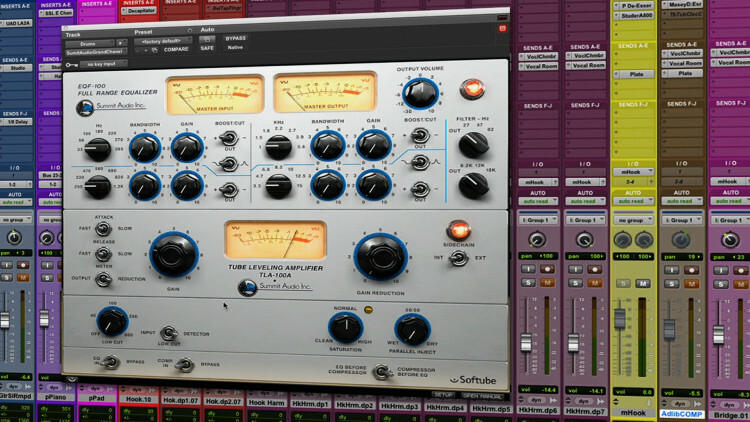 All of this takes place using just one plugin, the Softube Grand Channel, which is the channel strip version of Softube's TLA-100F and EQF-1000 plugins. He'll take you through setting up the compressor, experimenting with different attack and release settings, using parallel compression, filtering, EQing, and controlling the saturation. If you're wondering how to get your drums to feel better in your mixes be sure to check this video out. Today, I'll show you one of my favorite things to do while mixing, and that's beefing my drum sound. I'm gonna be working with a real drum loop and applying some EQ, compression, saturation, maybe some parallel processing, and I'm gonna do this all with one plug-in. Let's get started. So to get the punchy drum sounds that I'm looking for, while just using one plug-in, I'm gonna need to use a channel strip. Today, I'm gonna be using the Softube Summit Audio Grand Channel. You can notice that this plug-in has an EQ up at the top, a compressor below that, and some extra controls at the very bottom. First, I'm gonna dial in the sound of my compressor. I wanna bring out some more character, so I'm gonna exaggerate the room tones, and also I wanna add some punch. I'm gonna start with an obnoxious amount of compression and then dial back a little bit. As you can hear, my drums now have a lot of character. The room tone is really coming out. But I've lost all my transients, and I don't really have any punch left in there. So I'm gonna adjust the Attack setting and bring some of the punch back. So first with a fast attack. And now, with a slow attack. With a slow attack, the compressor is allowing my transients to pass, and my drums are punchy again. Now, I'm gonna play with the Release setting, just to see what effect it has on my drums. So here's with a fast Release. And, here's a slow Release. So you can hear how I lost all of the room tone and character that I had going before. I'm gonna leave the Release on Fast. So far, I've got a nice punchy drum sound, with lots of colour and room tone to it, thanks to my slow Attack and fast Release settings. But I'm kind of feeling that the kick drum's a little bit choked. To fix that, I'm gonna start using a high-pass side-chain filter, so the compressor stops reacting so much to the kick drum. Let's check out what that sounds like. You can hear that the compressor isn't reacting as much to the kick drum anymore, but the snare drum still gives it a nice buoyancy and room tone. I feel like I'm losing a little bit of the intensity of the compressor with that filter setting, so I'm gonna go somewhere in the middle. Whenever I'm trying to get a really punchy drum sound, I always find myself using parallel processing. That way, I can blend in my really compressed beefy drums, along with my uncompressed drums. The cool thing about this plug-in is that parallel processing is built right into it. So as I turn up the Parallel Inject knob, you're gonna start hearing some of my dry uncompressed drums getting blended in with my compressed drums. Now if I go all the way to Dry, we'll hear just the uncompressed drums. Now if I leave it on Wet, just the compressed. And then somewhere in the middle, I get a little bit of both. That gives me a nice, open and natural sounding drums, lots of tone, lots of punch, that's a good combination of everything. So let's see how far we've come. First, let's listen in Bypass. And now, with my beefy compression settings. Now that I'm hearing all this great room tone of my drums, I can hear a few adjustments I wanna make with EQ. By default, my EQ is after my compressor. I'm gonna start off by adding a little bit of bottom to the kick drum. Now that the compressor is bringing out so much room tone, I'm hearing just a little too much snare ring. So let me see if I can EQ some of that out. Now that I have that a little bit more under control, I just wanna add a little more shimmer to the highs. That nice little shimmery boost to the high-end just makes the hi-hat a little bit prettier sounding. Now I know I boosted the bass earlier, which accentuated the kick drum, but now I feel like it's a little too fat, I kind of wanna tighten it up a little bit. To do that, instead of dialing back my bass EQ, I'm actually gonna use a little bit of a high-pass filter. Check it out! Cool! The kick drum sounds nice and tight. Now let's see what this sounded like without any EQ. The last thing I'd like to play with is the Saturation control. Let's see what it sounds like completely clean, and then completely saturated. So as you can hear when I use a lot of saturation, all my transients are getting rounded out and I'm getting a lot of distortion. I think I'm gonna stick with that, somewhere in the middle. So let's get a sense of how far we've come. Here is the dry drum sound. And now, with both the EQ, and compression engaged. And again, with the EQ and compression. So as you can hear, we made quite a journey from these very normal sounding drums to these super colourful, punchy, beefy drums. And I did it all with one plug-in. This plug sounds great, but I know when something is louder it sounds better for the most part. Your before and after sounds great, but after possessing the db boost looks to me to be at least 10db hotter. Level matching would have been better for this example to really hear the possessing of the plug rather than the increase of gain. Don't get me wrong I can hear the difference and it sounds good to my ears. I love this plugin. For some reason this plugin is often overlooked. It's nice to see other people using it and realizing what a gem this plugin is. You did a great job explaining it too. Always fun to check out plugins! I have two questions... 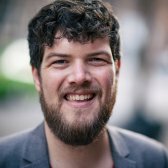 Without level matching between bypass and engaged, how can we really hear what the plugin is doing as opposed to what Fletcher Munson is doing to our ears? Because of the human echoic memory, would it be possible to hear future examples toggled with the track running rather than stopping between states? Thanks again Ben, you have a nice room to work in! It would be much better and more helpful if you were to concentrate on a single drum with a before processing and after processing for each process. I don't know what the original drums sounded like versus the final sound or why each enhancement was necessary. The compressed drum sound was OK but I had nothing to which to reference it. A before and after processing sound would have been much better. I still don't completely understand what is meant by "punch" as the finished sound is almost exactly what I get during a dry recording. I also found it difficult to distinguish the bass drum. Very helpful, Ben - thanks for this! I have a couple more things to consider. Thanks Ben! Love your teaching style. Sounds Great! I am totally buying this plugin! Thks Ben!